Taking inspiration from layer cakes and dolly mixtures. 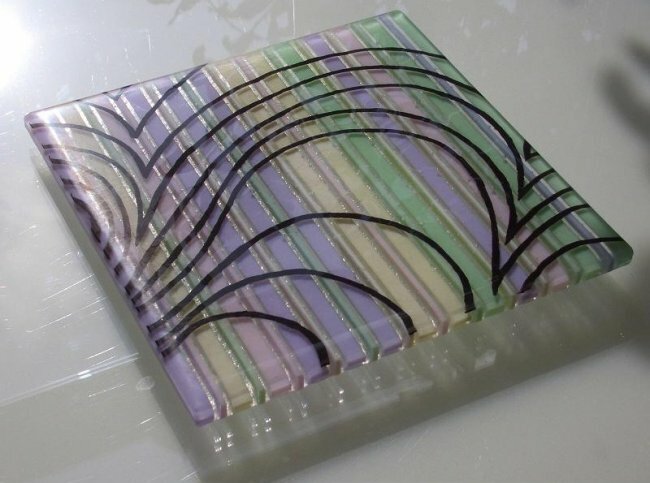 With alternating thick and thin stripes, formed of multiple layers of clear and opaque fondant colours, fused with more organic growth outlines. Floating temptingly above the surface; trapping and reflecting light to evoke carefree memories of summer, sun and fun. All votes need to be verified (to avoid multiple votes from one IP address) so there is a time delay but all votes and comments will be displayed by the time the winners are announced on April 13th.